Valcourt, Québec, February 13, 2014 – BRP will once again field a team of ATV and side-by-side vehicle racers for 2014 in addition to its industry-leading US $1.4 Million Can-Am racing contingency program. 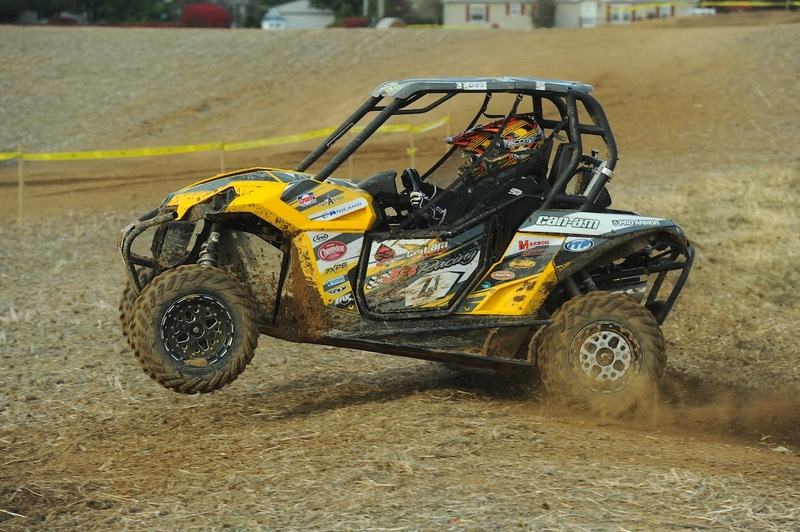 After a successful and competitive 2013 that saw Can-Am racers earn class championships with both ATVs and side-by-side vehicles, BRP added to its racing team and also expanded the Can-Am X-Team program to include additional side-by-side vehicle racing support. Can-Am will have racers competing in Grand National Cross Country series in at least three different classes. Multi-time Defending Open 4×4 class champion Bryan Buckhannon and 4×4 Lites class champion Kevin Trantham, along with Rob Smith, Jordan Phillips and Zac Zakowski, will compete in the new GNCC 4×4 Pro class. In the GNCC XC1 Modified UTV class, JB Racing / Can-Am will field Tim Farr and Larry Hendershot Jr., but Buckhannon, Zakowski, Kyle Chaney, Treavis Poynter and Jack’s Excavating’s Shannon Pratt will also pilot Can-Am Maverick vehicles. The XC2 Limited UTV class will include Can-Am racers Mike Penland and Jack’s Excavating’s Marcus Pratt. In the 2014 Mountain Dew AMA ATV Motocross National Championship series Pro class, Josh Creamer, who took third overall a year ago, will compete on his BCS Performance / Can-Am DS 450. He will be joined by Pro Joel Hetrick (JB Racing / Can-Am), who is making his return to Can-Am. Five racers will compete in the World Off-Road Championship Series. They include side-by-side Pro class drivers Pablo Veglia (Del Amo Motorsports), Dave Martinez (Murray Racing), Team IMG / Can-Am teammates James Hill and John Pacheco. GPS Off-Road / Can-Am DS 450 racer Dillon Zimmerman will compete in the WORCS Pro class. In the desert, Can-Am Maverick side-by-side pilots will compete in the Best In The Desert and SCORE International racing series. The BITD squad will consist of Derek and Jason Murray (Murray Racing), Cory Sappington (Desert Toyz), Michael Lansky and Monster Energy / Can-Am pilot Marc Burnett, who is also signed to race the SCORE events. On a regional level, Brothers Hunter and Cody Miller will race both ATVs and side-by-side vehicles in the Texas Off-Road Nationals ATV series and the Dockside Marine Texas Quad Racing Association series. PURE SxS Series champion Logan Gastel and 2013 Lucas Oil Off-Road Racing Series UTV Unlimited class champ Steve Beilman will defend their titles in Maverick side-by-side vehicles. DS 450 racer and reigning NEATV-MX Pro class champ Travis Moore will be out to defend his title for Can-Am. Wrapping up the U.S. team is the Championship Mud Racing teams of Gorilla Axle / Can-Am and independents Shane Dowden and John Soileau. The 2014 Canadian team also will include both ATV and side-by-side racers at select regional and national events. Can-Am DS 450 racer Keven Vachon, Mathieu Deroy and the siblings of Anthony, Axel and Eli Desroches will all represent the Can-Am X-Team in the Vision Quad Sport Plus QuadCross Championship in Quebec, Canada. Piloting the Maverick 1000R side-by-side vehicle in the SxS Pro class in same series for the Can-Am X-Team is Charles-Antoine Villeneuve and Yani Desjardins.